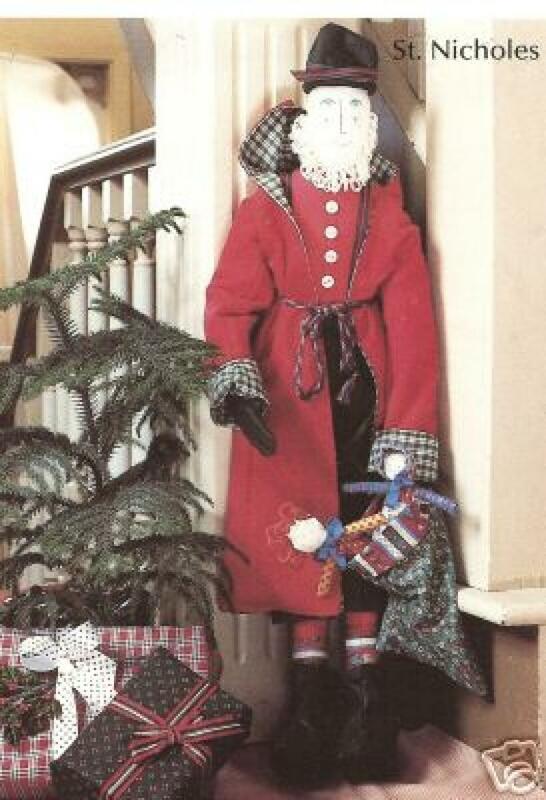 Old style European Santa doll pattern. St. Nick measures 27" and has directions for removable clothing and a toy sack with patterns for the dolls inside! All skill levels will enjoy this pattern!!! !